Logan Smith faced many challenges during his 140 days in the Akron Children’s neonatal intensive care unit, but today he’s happily home. Logan Smith made a surprise entrance into the world. 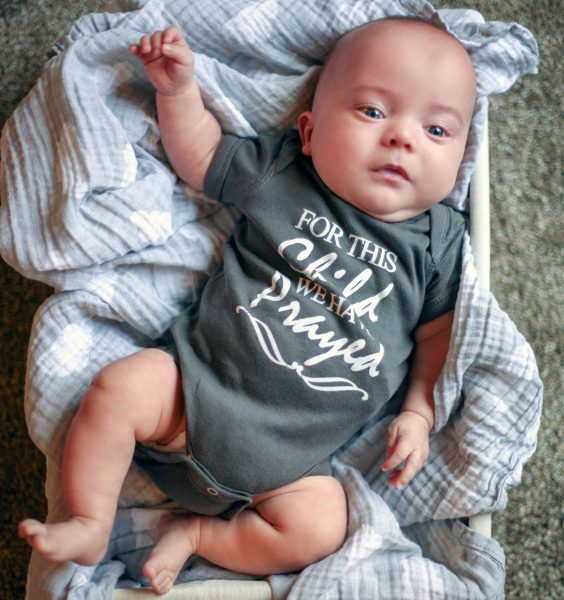 Born on Sept. 30 – about 4 months before his due date — his early arrival took his parents, Brad and Lisa Smith, of Dover, down a road they didn’t expect. 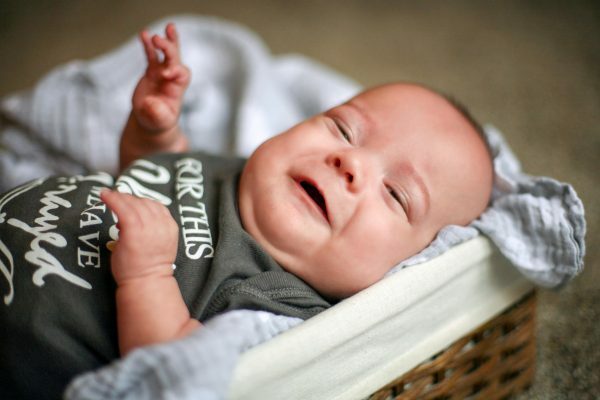 “He was born at 24 weeks gestation, so everything was still underdeveloped,” said Brad. “The day of his first exploratory surgery was the hardest day of our lives,” Brad said. “They had to remove some of his bowel and his liver started bleeding during the surgery. They stopped the bleeding, but explained the next 24 hours are crucial. So, on top of worrying about his liver, we also didn’t know if there would be enough bowel for him to absorb nutrients and grow. 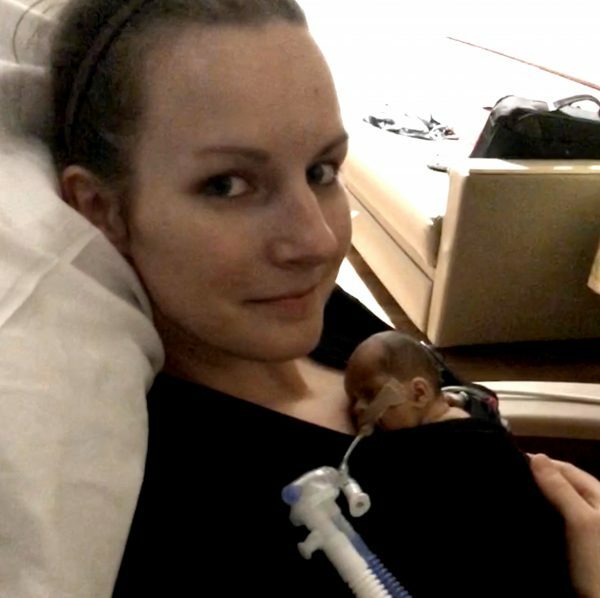 Lisa Smith keeps tiny Logan close to her while in the NICU. Brad and Lisa, who are first-time parents, relied on their faith to get them through. Logan made it through but had to have 4 more surgeries after that and also had a feeding tube placed in his stomach temporarily. Like most babies born prematurely, Logan also has had other issues, like a collapsed lung that had to be corrected with a chest tube. Lisa and Brad spent some nights at the hospital, especially when Logan was at his most critical. But other nights, they relied on the NICU staff to care for Logan. 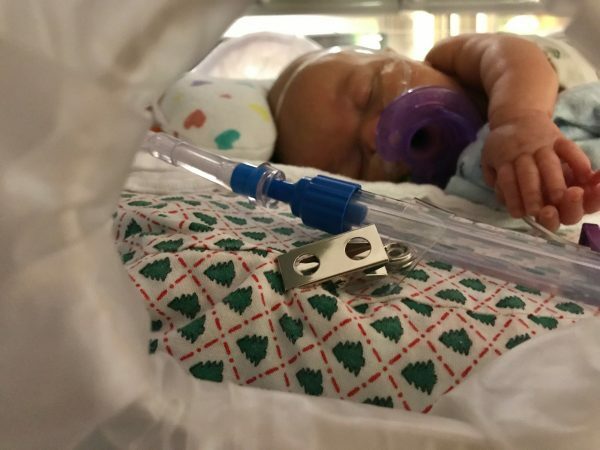 Logan and his family marked each holiday while he was in the NICU with photos. Nurse Megan Hart helped by putting a seasonal sheet on his crib mattress. Among the nurses the family bonded the most with was Megan Hart. 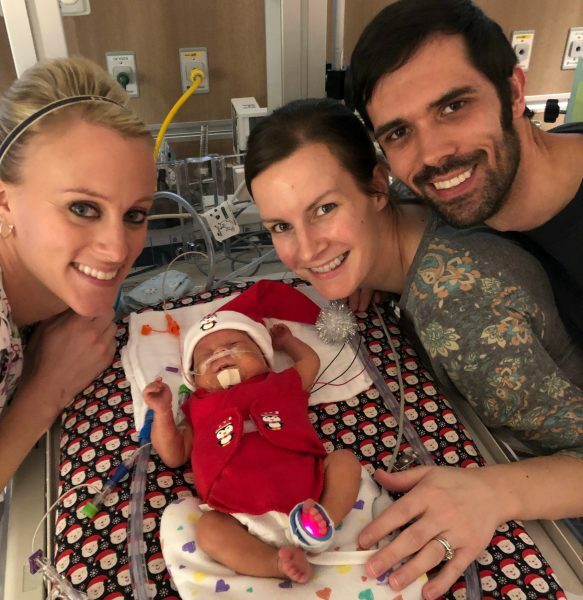 Megan went the extra mile by helping Lisa and Brad to take photos around each of the holidays they celebrated while Logan was in the NICU. “She would get a mattress cover that would match his outfit, and she would take the photos and help us decorate,” Brad said. Nurse Megan Hart developed a special bond with the Smiths during their NICU stay. On Feb. 25, after 140 days at Akron Children’s, Logan got to go home with his parents. His dad reports that Logan is doing great at home. But the family admits that leaving the NICU — their home away from home — was bittersweet. Now at home with his parents in Dover, Logan is smiling and laughing. He added that despite Logan’s challenging entrance into the world, the Smiths were amazed at their experience in the NICU.